I love a puzzle. I’ve read load of cozy mysteries and enjoy trying to figure out the killer. I also watch lots of mysteries on TV and people hate it because I always pick out the killer before the end! 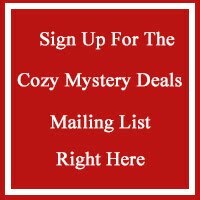 Cozy mysteries always have a lovely sense of community and friendship or strong family bonds. That can be lacking in real life, so it’s heart-warming to create this lovely place and fill it with great characters, and add a little mystery! Tell us a little about the Lorna Shadow series. The Lorna Shadow series is cozy paranormal series (10 books and counting) about a woman who can see ghosts and helps them solve their murders. The series theme is all about friendship, helping those in need, and ensuring justice is served. This is my favorite series so far. I fill the books with interesting suspects, quirky animals (Flipper is Lorna’s ghost sensing dog) and lots of treats. Also, tell the readers about the Zee Town series. I tried something a bit different with Zee Town. This series is loosely set in the UK county of Cornwall, an idyllic setting of amazing cliff tops and beautiful beaches. The different thing about it, is this cozy series has zombies in it. Before you go, yuck, not zombies, these are placid zombies – they don’t bite! The theme of this series is all about acceptance and including others even though they’re different to me or you. Of course, there is always a murder to solve and a tricky romance with the local grumpy cop to spice things up. In addition, tell readers about the Old Sarum series. Old Sarum was my first try at a paranormal cozy series featuring witches. Again the theme is about family and friendship and righting wrongs. I set the series in a hidden place called Old Sarum next to the famous stones at Stonehenge in the UK. I love the idea of a hidden world just out of our reach, where magic is real. Which character would you choose and why? I’d picked Cassie March, my heroine in the Zee Town series. She’s hard working, stubborn, and has two gorgeous men after her. I’d love just one hot guy chasing me, so two would be a treat, but only for a bit, then they can leave me alone so I can read a book and put on my comfy slippers without being judged. I always end up loving my sidekicks. The furry ones, not the human ones. In my new series, there’s a dog called Wiggles. I can’t say too much about him without giving away a key plot point but he’s my favorite character and makes me laugh out loud with his outrageous behavior. He appears in my new series – the Crypt Witch cozy mystery series. In one Lorna Shadow story, there’s a mystery that involves a body in a wall. That was inspired from watching Most Haunted and learning about priest holes and hidden passageways. A priest reportedly got trapped and abandoned in the wall and was only found hundreds of years later. Life sure is stranger than fiction. Hand on heart, this career is amazing. I left a safe, well-paid career to be a writer. It was a gamble but I now do this full time, and often kick myself with how happy I am. If I had to pick another career, I wanted to be a zoo keeper when I was a kid, until I learned it’s mainly clearing up animal poop and cutting up food! I’d also love to be a librarian and be surrounded by books every day. It’s the first one I published. It’s not a cozy one, but has mystery in it. It sits in the young adult paranormal romance genre and is called Initiation – the School of Exorcists. I wrote it in my early twenties when my head was full of Twilight and Harry Potter, and is a mess of both concepts. It’s my favorite because it was my first step into writing. It showed me what I could achieve. I made $32 in my first month of publishing that book. I was thrilled, lol! One day, I will return to that series (there are six books in it) and re-write it into an even more awesome tale of love, death, and coming of age. If I’m not writing, I’m usually thinking about writing or new ideas for stories. I watch a lot of TV and that inspires new stories. I sit with a pad next to me and sketch down plots of great movies or TV shows. I read a lot and will try anything. I’m currently reading the new Dan Brown book and also reading a clean romance about an accidental bride! I also have Stephen King sitting on my bedside cabinet. I listen to loads of music and enjoy rock and metal – anything from soft rock of the 80’s to Metallica, Paramore, Pink Floyd and Inglorious. I air guitar with the best of them. I’m a classic introvert writer, and on the extreme end of introversion, so am content in my own company for weeks. Noisy parties or group outings leave me cold inside and miserable. A great book, a cup of tea, and a snuggly blanket, and I’m happy. I’m trained as an archaeologist, but was more into the academic side than digging in the dirt. My best find when excavating was a car which had been buried vertically in the ground, bumper side up. My new paranormal cozy mystery series the Crypt Witch series is releasing at the end of August 2018. Expect lots of twisty puzzles to solve, meet a witch with a huge demon problem in her life, and a faithful four-legged companion who is like no dog you’ve met before. Luck of the Witch and Hell of a Witch will be the first two books out. I also have another Lorna Shadow book planned to release just before Halloween, which will have a suitably spooky theme, and I’m writing a novella featuring Lorna for a festive anthology, coming out around Thanksgiving – it features a turkey, a ghost, and a heap of fun.